AFC Bournemouth claimed their first ever victory at the Hawthorns on Saturday and, while many will blame the idiocy of Salomón Rondón and James McClean, or the incompetence of referee, Mike Dean, I believe that the Albion manager should take responsibility for the result. Albion remain safely in mid-table and I recognise that, with Tony Pulis at the helm, they are highly unlikely to get relegated but, then again, they are equally unlikely to finish in the top ten. I firmly believe that the Baggies squad is the best it has been since the early eighties and capable of finishing in the top seven or eight, but the lack of ambition that Pulis shows in every game, even against newly promoted sides at home, is preventing the squad from fulfilling its potential. Albion fans have watched with envy as clubs such as Leicester, West Ham, Crystal Palace and Watford have lit up the Premier League with sparkling attacking performances. Those clubs arguably have squads comparable to the one at the Hawthorns, but the key difference is their approach to the game – each of those teams is going out to win and to entertain while Albion have become the side we all hated a few short years ago, the Stoke City side under Tony Pulis. So what evidence do I have that the squad can perform better? Just look at the attacking football that the Baggies have produced when chasing games. Against Chelsea, Spurs, Arsenal and again against Bournemouth on Saturday, Albion have played attractive attacking football that has troubled every side. Against Arsenal it was enough to get the three points, against Spurs, Albion were unlucky not to win and, had they had 11 on the pitch against the Cherries, I’m sure they could’ve won the game. The frustration is that the attacking football is rarely seen until Albion have fallen behind. The first 45 minutes against Bournemouth was a turgid, uninspiring display by the hosts as they recorded just 27% of possession. They rarely looked like conceding but neither did they look like scoring. The one midfielder that Pulis selected that has a creative spark, James Morrison, was well under par which meant that Albion showed absolutely no signs that they could create a chance let alone scored goal. Set pieces looked to be the only hope. It has since emerged that Morrison was one of five players who were unwell before the game and, with three of those being substituted during the game, the question must be asked why they started at all. After half time, when Sessègnon came on, Albion looked much better despite being a man down. Chris Brunt playing left wing – who’d have thought that might work? But of course that meant Jonny Evans was at left back and, much as Evans has been one of Albion’s better players this season, he is not a full back and he was left floundering as Smith cut inside to give Bournemouth the lead. If only we had an international left back in the squad! Sessègnon was the most dangerous player on the field and we were all wondering why he didn’t start the game. Callum McManaman, the other truly dangerous player in the squad was left on the bench once again when his introduction could’ve proved to be the difference. Eventually Pulis turned to Berahino but, even if Saido hadn’t been in full sulk mode, bringing him on as the clock ticked over 90 minutes left him no time to influence the game and smacked of desperation. It was a familiar story. Backs-to-the-wall away performances are all well and good, and they have proved to be the backbone on which this seasons “solid” results have been based, but at home, fans deserve to be entertained and to see their team trying to win games. All we have seen at the Hawthorns have been turgid draws, the odd solid defensive performance that has produced a win and a number of rousing but largely unsuccessful attempts to recover from a losing position when Plan A goes awry. Pulis has described this job as his toughest but he is making it tougher for himself by not fully utilising the squad he has at his disposal. McManaman has always looked dangerous when he has played but he has been on the bench for much of the season. Serge Gnabry, one of the brightest young stars in Arsenal’s under-21 squad, came to the Hawthorns on loan to get some first team experience but has found himself in Albion’s under-21 team and seemingly a long way from the first team squad. James Chester, one of the most promising young centre backs in the country, was signed on a multi-million pound deal, apparently as a full back, but has been largely ignored while the two international full-backs in the squad, Christian Gamboa and Sébastien Pocognoli, have one substitute appearance in the Premier League between them. Seventeen games into the season and ten players have made thirteen or more starts. Moreover, of those ten players, only Rondón and Morrison can really be described as attacking players. 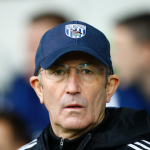 Football in 2015 is a squad game, but Tony Pulis is failing to use his. As a defensive coach, Pulis is undoubtedly excellent, but he seems unwilling to send out his team to attack unless it is already losing. This may be good enough to keep Albion in the Premier League, but it is, in my opinion, well below what this squad is capable of and, furthermore, it does not make for entertaining football. Albion’s average attendance has dropped from 25,000 last season to 24,300 this season which is most likely due to supporters disillusioned with the football being played starting to stay away. I’m not suggesting that Pulis needs to be sacked but, in my opinion, he needs to change his approach before more fans start to desert the club. I hated watching Stoke City for much of the time Pulis was in charge, and I felt sorry for their fans. Now it is my fellow Baggies fans I feel sorry for. I didn’t want Pulis at the club but I was prepared to give him a chance. The football we were subjected to last season was dull but effective and I remained prepared to give him a chance in the transfer market and see how this season would go. Results are acceptable, but the football is not. Perhaps the right thing to do is to endure this season and secure the massive increase in TV money that kicks in next year, but if the football does not improve, how many more fans might be staying away come the end of the season? The Albion team have shown that they can play attractive attacking football – Pulis needs to let them do that from minute one in home games and give the fans some entertainment and, hopefully, some home wins. Let’s see some attacking players on the pitch from the start – we may concede some goals and lose some games, but that is happening anyway. At least if we have some attractive football to watch and more than a goal a game to celebrate, fans will be much happier. With McClean and Rondón now suspended for three games, Pulis has an excuse to shake things up. Gardner and Lambert coming in would indicate that Pulis is not for changing. The Berahino situation makes the situation up front difficult but I’d prefer to see him given an opportunity to show off his skills even if that results in him leaving the club than to see Lambert plodding around up front. As for the left side of midfield, McManamanan deserves to be given a chance, although I’d also prefer to see Brunt pushed forward with Pocognoli behind, but that seems highly unlikely.